This interview appeared in Huffington Post on April 24, 2015. 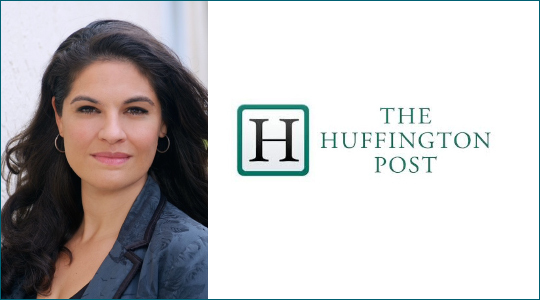 Nadia is a Multi-Media Producer turned Executive Coach who dramatically improved her own focus and relationship with food through micronutrition, and wanted to help others do the same: she worked with scientists and micronutrient experts to develop the MicroNourish System and online magazine. Nadia has an MBA from Columbia University and London Business School, an MA in Media & Communications from the University of London, and is a certified coach, trained by the Institute of Integrative Nutrition, the Coaches Training Institute and the NLP Institute. Nadia’s Masters’ Thesis examined the role that magazines played in the prevalence of eating disorders in 21st century women and what ethical responsibilities editors have as a result. On one hand, I was lucky to grow up between London and New York, and have a fascinating international career and education. On the other, I’ve overcome an eating disorder myself, coached executives facing personal challenges nobody else could see, and worked in developing countries where I saw first-hand the heartbreaking daily battles some people face. This has taught me that there’s no single recipe for living a successful, happy life, and made me want people to bring their whole, unique personalities to work. It’s also given me the confidence to tell my story in the hope of leading a new conversation about micronutrients and mental wellness. As a manager, I encourage my team to play to their strengths, but also try to push them to find the edge of their comfort zone. I love collaborating, so I try to create a culture where we try new things, but then have each other’s backs if things don’t go as planned. Of course, you’ll have to ask my team how well I’m pulling that off! How has your previous employment experience aided your tenure at MicroNourish? 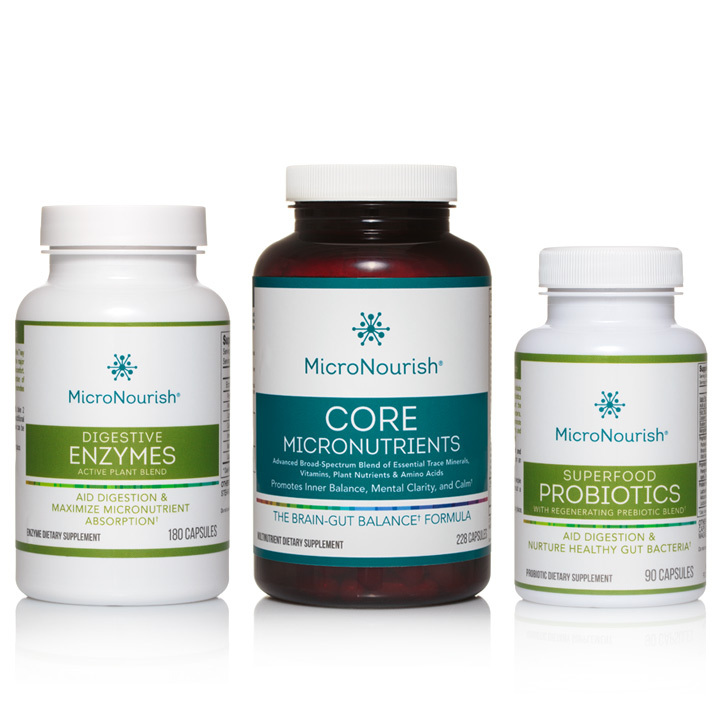 While MicroNourish was borne out of my own transformative experience with micronutrients and wanting to share the benefits with others, bringing that vision to life has drawn on everything I’ve done before: from each job, venture and consulting project I’ve been part of, to the health courses, nutritional philosophies and coaching techniques I’ve studied on my own. In conferencing and tech production every project was a start-up, which taught me to work at a fast pace and think on my feet. Developing the app, ThinkPal, gave me helpful digital skills – like being able to read code and fix some tech hitches. Coaching and consulting here and abroad, and completing an international MBA, helped me learn to work with different types of people and navigate my way through diverse cultures; it also gave me the guts to come into a pretty male-dominated industry and create a different kind of nutrient company: one where people know who’s behind the system, and can trust I’m asking the same questions they would. What have the highlights been building MicroNourish? No question, it’s when people tell me their lives have been changed by our formulas. Just today, I got an email from a woman telling me she wished she’d “listened sooner” to me because she started our Core Micronutrients a couple months ago and the formula has helped pull her out of a really low point that she worried would never pass. She’s since “sky-rocketed into productivity” and “feels like herself again.” Her words. * I hear things like that all the time: they move me, inspire me, and remind why I’ve poured my heart and soul into creating MicroNourish. The big picture can be paralyzing – just focus on the first target and let the rest unfold. (I joke, if you can think small, you can change the world.) Also, learn the principles and elements of contracts. I’m astonished that most business schools don’t include contract law in their core curriculum. Understanding some legal lingo is empowering when you’re starting a business. Finally, trust your gut – there’s a reason it’s called your Second Brain! What are the most important lessons you’ve learned in your career to date? To have the difficult conversations sooner rather than later, that there are very few genuine short-cuts, and that contracts are only as good as the people who sign them. Also, to have fun no matter how much pressure you’re under (that’s where seeing the big picture does come in handy!). Switching out of work mode has never been my strongest suit. Before I started taking micronutrients, I regularly pulled all-nighters to keep my focus once “in the zone”. Now, I choose key projects for each day and try to be “in” them completely. And then I sleep. Turns out, no matter how hard I try, I can still only be in one place at a time. By the way, did you hear Jennifer Garner recently saying she gets asked this question all the time, but Ben Affleck, who has the same job and family, never does? Maybe we need to rethink this question. How about: “What would your chosen superpower be?” Mine would be the ability to clone myself so that I can be in lots of places at once! What do you think is the biggest issue for women the workplace? Apologizing too much. I’ve coached executives in many different working environments and, while I believe destructive cultures can be just as hard on men, one thing I saw more with women was apologizing in subtle ways for having strong opinions and a seat at the table, such as by starting with disclaimers when speaking up, and finding it much harder to say “no”. That’s actually why I developed a set of questions called “Saying No!” on ThinkPal (our coaching app). The great thing about being unapologetic about your role and your opinions is that you don’t have to depend as much on a positive work culture to support you – you’re supporting yourself. Mentors have arrived in various guises, often when I didn’t realize I was being mentored, and built my confidence by showing me they believe in me. One of my first mentors was probably my middle school math teacher, Mrs. Hahn, who, instead of scolding me for distracting others in class when I got bored, told me she believed I could ace my exams, cleverly realizing I would then be motivated to succeed for her personally. Believing you can do something is half the battle. The women who inspire me most are those who work in their communities to change lives against the odds, and often without much recognition. Did you see the recent feature on Humans of New York about the school principal in Brownsville who tried to make sure her students knew they mattered by standing them up one by one in assembly and telling them so? I salute women like her, who quietly work hard to change our world. What do you want MicroNourish to accomplish in the next year? To educate as many people as possible about how pivotal micronutrient absorption and brain-gut balance are to feeling your best. I’m convinced that there are many people walking around with micronutrient deficiencies that they think are real feelings! The supplement industry makes a lot of money from single bottle sales – like gyms whose members never go. 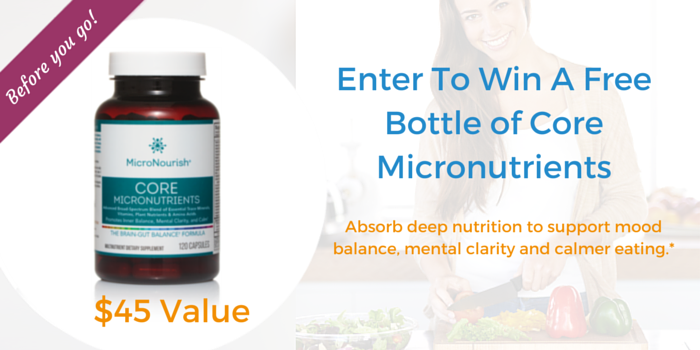 I’d like to see MicroNourish grow, but I’m not interested in just bottle sales: I want to build a community of people who genuinely feel the benefits of our formulas, and feel supported in making better lifestyle choices. I keep thinking, “if only I’d known this all at 15.” That’s why we’re launching the online magazine, You Are What You Absorb: we want to make expert knowledge accessible, to help people achieve inner balance and get on with being the best version of themselves – so they can do great things!